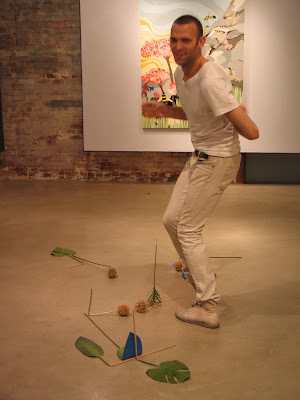 I was very sorry to miss the opening reception of Sarah Emerson and Jeff Grant’s Soft Trap + Withershins. But many of you were smart enough to stay in town (do away with the traffic, please!) and grace us with your presence at the gallery. It seems to have been great fun and games! Thank you all for coming! We are open until 5 this afternoon if you wish to stop by, and would love to see you here! This entry was posted in Exhibition, Jeff Grant, Sarah Emerson on September 12, 2009 by Whitespace.